An electric shock injury is often both life-changing and preventable. 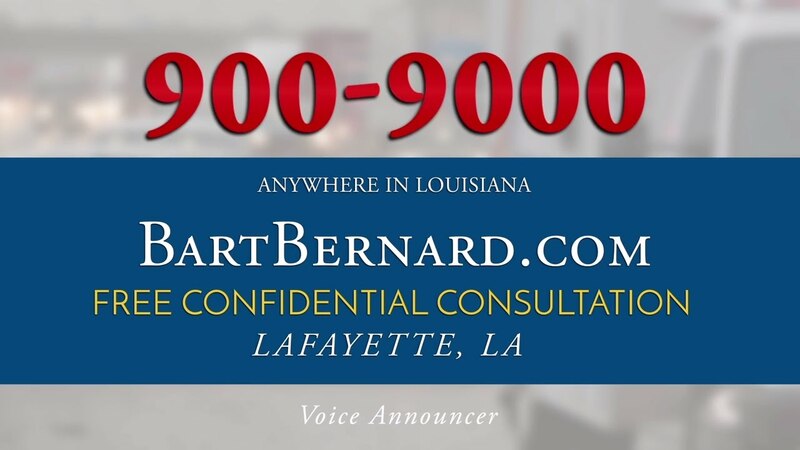 Louisiana electrocution injury lawyer Bart Bernard understands how these types of injuries impact victims and their families and uses his two decades of experience fighting for their rights. Construction workers play a valuable but dangerous role in society. Responsible for the labor that builds our commercial and residential structures, those in the construction industry face dangers from extreme power sources, exposed wires, and contact with large machinery. Electrocution from these kinds of dangers kills an average of 400 workers a year and causes non-fatal injuries to many more. Construction sites and the companies managing them are heavily regulated but that is not always enough. When someone is electrocuted on a work site, it is often because someone, whether out of carelessness or intentionally, did not follow the required safety procedures. In these situations, the electrocution victim or their family may be entitled to compensation for their losses. How common are electrocution injuries? Construction-related electrocutions also accounted for more than half of all occupational electrical deaths. These are only the fatalities – countless others suffer non-fatal but still serious physical injuries and economic losses after an electrical shock. At the Bart Bernard Injury Lawyers in Lafayette, Louisiana, we are committed to help you through these difficulties, whether you suffered an electrocution injury or are the loved one of someone who was killed by electrical shock. What is an electrocution injury? An electrocution injury, also known as an electrical injury, occurs when an electrical current travels through the body. The voltage can interfere with the way the internal organs function and the jolt can actually cause the tissue to burn. As electricity travels through the body, it generates a dangerous amount of heat, so the burns can be both at the site of exposure and internally, to the organs. What are electrical injury symptoms? At low levels of exposure, victims may experience numbness in the limbs that can be momentary or persistent, cardiac arrhythmias and other heart abnormalities, and minor burns. Signs of higher intensity exposure include abdominal pain, shortness of breath, and chest pains caused by internal organ damage. Violent muscle contractions can lead to broken bones and even spinal cord injuries. It can also impact the heart so severely that it simply stops beating, resulting in death. Competent electrical injury first aid and ongoing necessary medical treatment are obviously the first step in recovering from an electrocution injury. But physical recovery is just a small part of coping process. Physical injuries can lead to oppressive medical bills. Compounding the problem, they may also impair your ability to work. Add in the mental and emotional trauma that many electrocution victims suffer as a result and it becomes easy to understand why these injuries can be so devastating, even when non-fatal. Electrocution cases should be trusted to an experienced construction accident lawyer with a history of success in these types of construction lawsuits. Rather than involving simple situations of he said-she said, electrocution cases often involve complex industrial regulations, engineering evidence, and medical experts. An electrocution lawsuit is not something victims are equipped to handle on their own. If you have been injured in an electrical accident in Louisiana, put your trust in a dedicated, skilled, and compassionate personal injury lawyer. The Bart Bernard Injury Lawyers in Baton Rouge and Lafayette, Louisiana, will fight the insurance companies, site operators, and any other liable party to obtain your just compensation. Call us for a free case evaluation.